This truly is such a beautiful topic. Especially, when we think of our Savior and our loving Father that dwells in Heaven. Just think for a minute about our Savior and the perfect, pure love he has for Heavenly Father. His purpose is 100% aligned with his Father's purpose. So how does this all apply to us? The Savior through his atonement has provided a way for us to be at one with him. When we are baptized we take his name upon us and make those sacred binding covenants with Heavenly Father. We can be united with the Savior as we seek his help. He can help strengthen us and help in carrying our burdens. 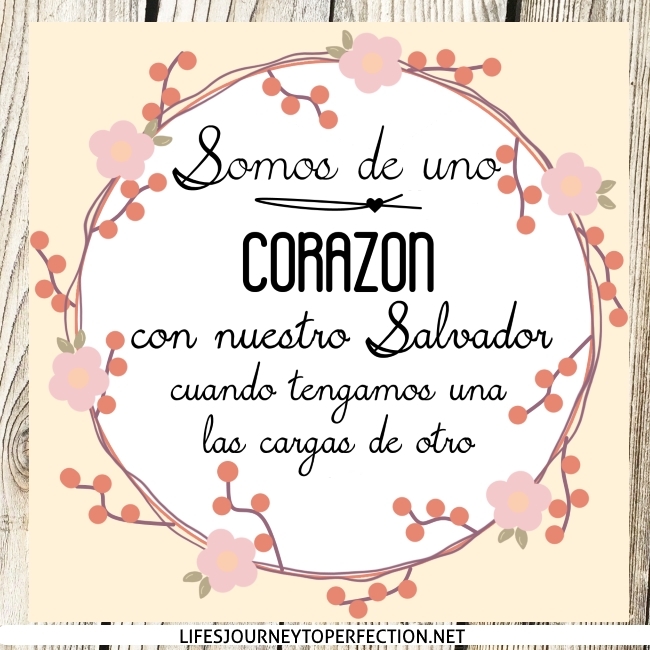 Likewise, the Savior has asked us to love others as he love us. We too can be united in the purpose of strengthen each other. 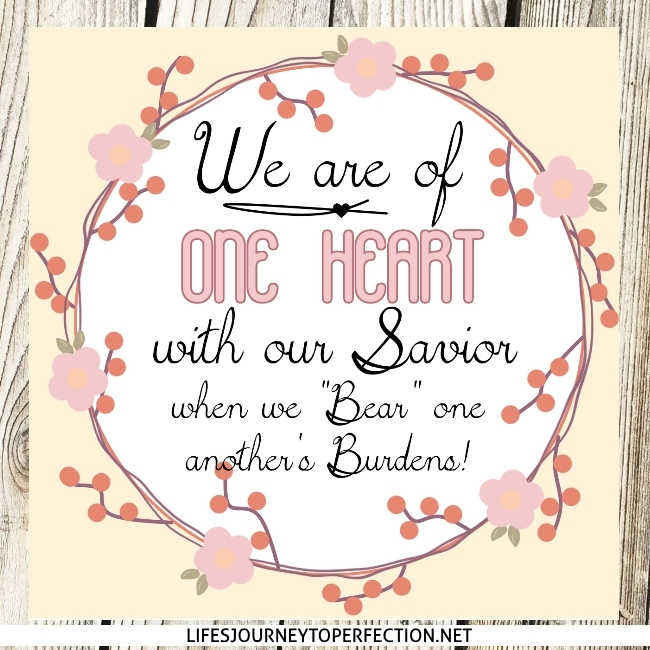 We are of one heart with our Savior as we help bear another's burden. We are being his hands, doing as he would do, helping to fulfill the purpose of loving and serving all of God's children. As member's of The Church of Jesus Christ of Latter-day Saints, we have that knowledge that we indeed are brothers and sisters all children of a loving Heavenly Father. When we truly see each other as such, then we will have a greater desire to see them the way God sees them. For me when I truly focus my efforts in this, my actions are different, my feelings are different. They are turned towards love and a desire for others to reach their potential, come unto Christ and have that eternal happiness. My heart is more open and full of empathy. We are all daughters and sons of God, how absolutely wonderful this is! 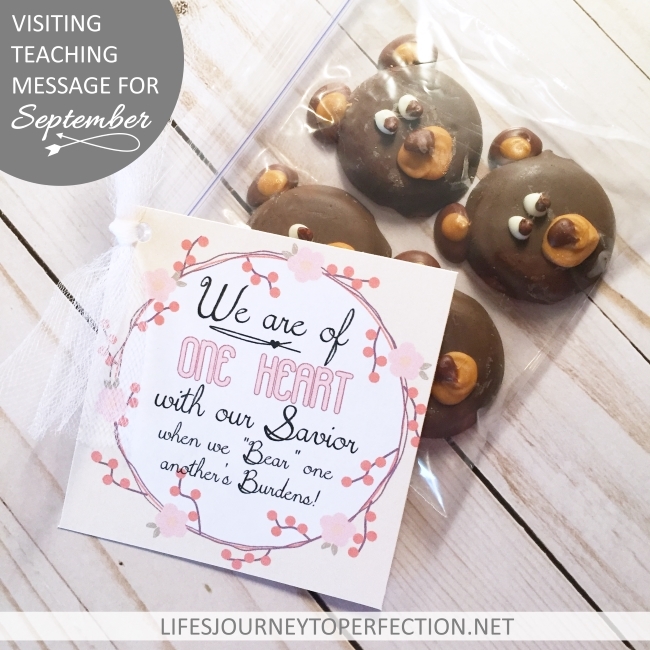 Being a visiting teacher provides us with a way to love and serve Heavenly Father's daughters. Within it, it brings unity and love. Some of my closest friends have been my visiting teachers. When we lived away from family for a few years, it was my visiting teachers who became my support system. I knew they cared, that they were there for me to turn to. I felt that unity of sistership, that comes as daughters of God, serving each other. Think about the love and unity that has come into your own life as you have been served or have served one of your Relief Society sisters. 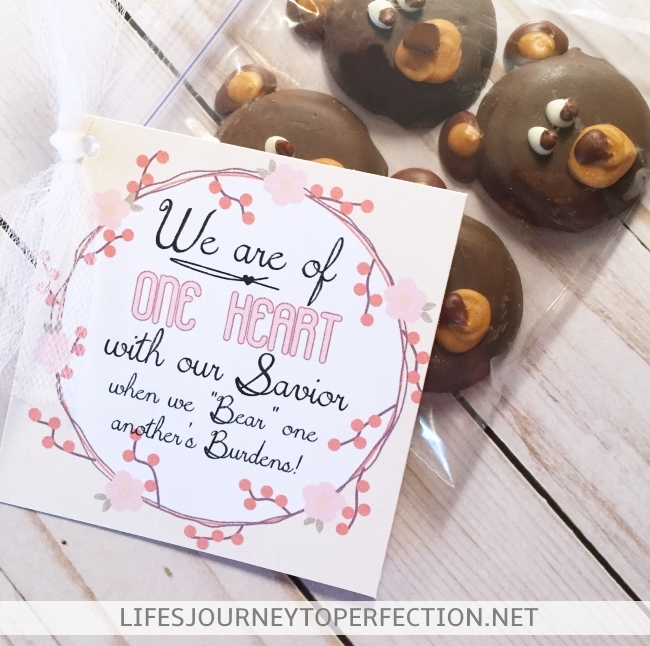 Attach this tag to a bag of gummy bears, or bear cookie crackers, or a honey bear, or you could make these simple bear cookies in the picture above. These are adorable! How did you make them?